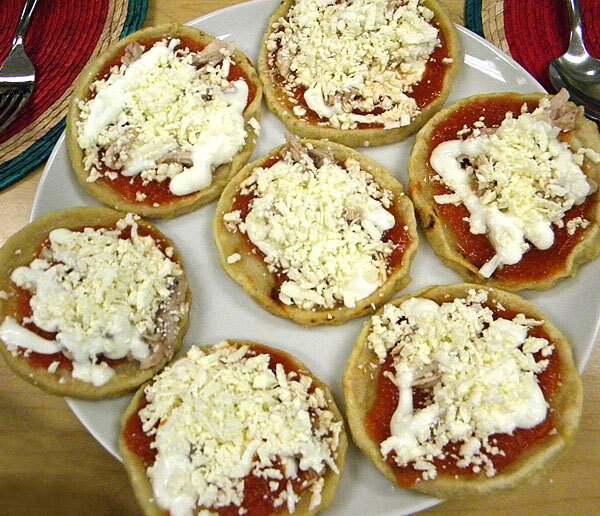 These ‘picaditas del puerto de Veracruz’ are rumoured to be an excellent cure for a hangover, but even if you don’t have a hangover you will still want to try these ‘bocadillas’ (nibbles). 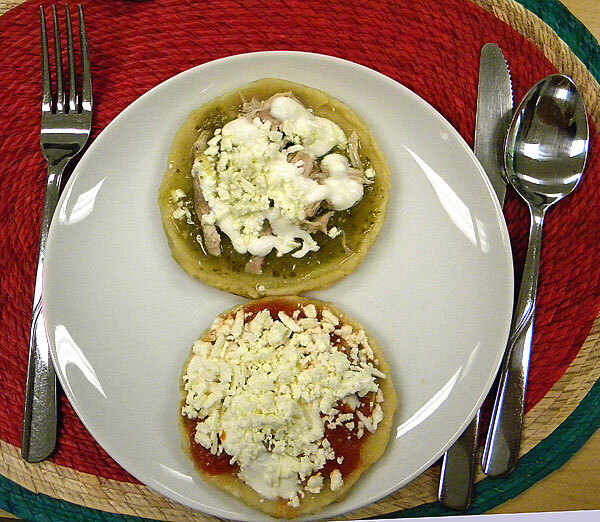 These treats are hand-made ‘pinched’ tortillas of masa (corn dough), topped with either a salsa verde (green salsa) or salsa roja (red salsa), then shredded chicken, crema fresca (crème fraiche) and queso fresco (fresh cheese, a mild feta makes a good substitute). 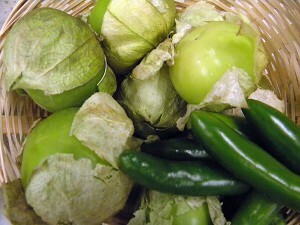 the tomatillos and serrano chiles for the green salsa. The two salsas, creme fresca and queso fresco were arranged for topping the picaditas. 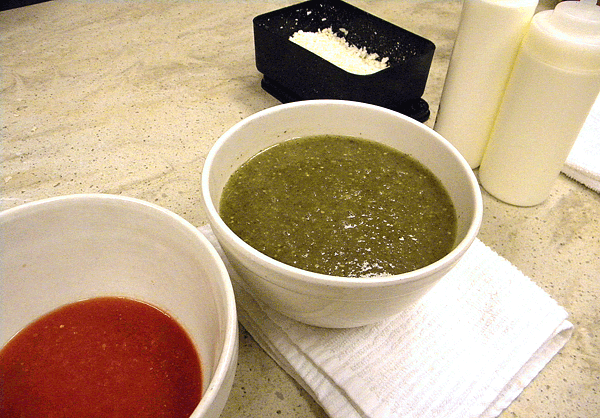 Everyone received one red and one green salsa picadita. The green salsa was very spicy if you tried it straight but the cream and cheese really ‘softened’ the spiciness.